The more I consider it (and, yes, I do sit around pondering these sorts of questions) I have to admit that Breaking Bad was the best show I’ve ever seen. In terms of writing, acting, cinematography and plotting, Breaking Bad’s the best. There are moments in, say, The West Wing or Lost that move me more, but Breaking Bad never had a bad episode, was all about developing its characters until you could tell how they’d react in any given situation and knew exactly where it was going with an assurance I don’t think TV has ever seen before. I’ve watched the whole series twice in a year, and I was looking to poke holes in it and there just were none to be found. AMC must have a heck of a lot of confidence in this venture, because not only does it have a full season one order, AMC renewed it for a full 13 episode second season before it even aired, which I’m not sure has even ever been done. Of course, the question people are asking is doe we get to see Walter and Jesse? My feeling is that they should end the series the Groundhog Day Walter strides into Saul’s office, but he had a relationship with Jesse long before Walter broke bad, so I think we’ll get to see some more early Jesse. 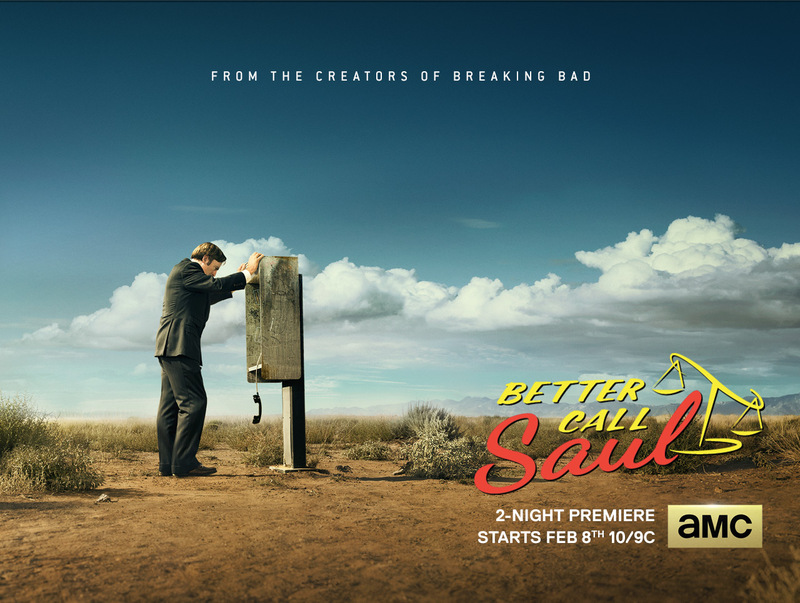 AMC debuts Better Call Saul in under a month on February 9th. I’d watch Bob in anything. He’s so brilliant as Saul. Hope it finds success.